Introducing “PARADISE CITY” – The Guns N’ Roses show. A brand new authentic tribute to “the most dangerous band in the world”. GN’R are undeniably one of the biggest rock bands of all time. Their first LP ‘Appetite For Destruction’ became the highest selling debut album of all time, and continues to sell to this day, with new generations of youngsters idolizing the iconic rock gods. In 1993 Guns N’ Roses played the largest ever headline show in the southern hemisphere, at Melbourne’s Calder Park, which the band still talk about when recounting career highlights. 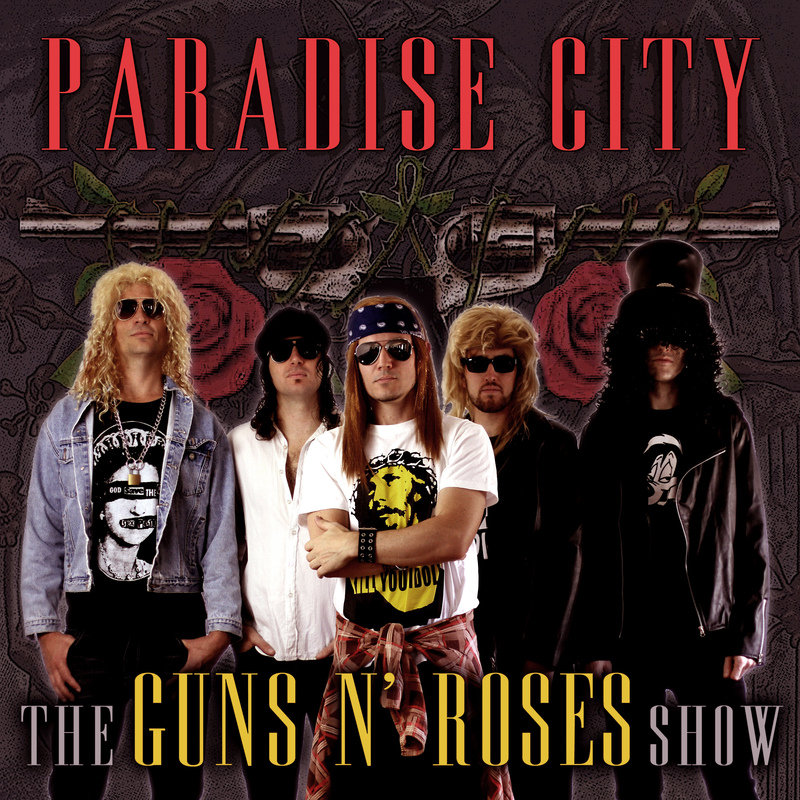 Based in Brisbane, Australia, “PARADISE CITY” is the closest thing you’ll get to the real deal in their prime. Delivering an amazingly accurate homage to Guns N’ Roses in their world conquering era, circa 1987-1993. Frontman Paul delivers a ball-tearing Axl vocal that’ll have you feeling like you’ve actually travelled back in time. Lead guitarist Nathan accurately reproduces Slash’s classic style via his trademark Gibson Les Paul, untamed afro, and the unmistakable top hat. 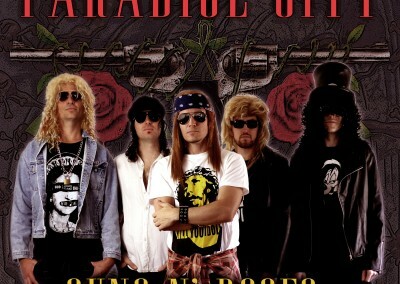 “PARADISE CITY” delivers 2 hours of classic GN’R, including mega hits like Sweet Child O’ Mine, Paradise City, November Rain, Welcome To The Jungle, Patience, Don’t Cry, You Could Be Mine, Knockin’ On Heaven’s Door, and many many more. Complete with top shelf sound and lighting production, and detailed costume design, this show is guaranteed to give punters an explosive Guns N’ Roses experience.